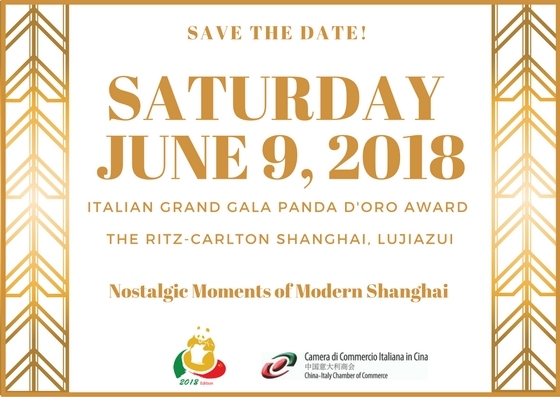 The CICC is looking for vendors that, by providing services, will be able to contribute to the success of the most important Italian Excellence Awarding Ceremony in China, the Grand Gala Panda D'Oro Awards, that will be held on 9th June in Shanghai. 1. If your company can provide any of the services mentioned above please contact us at sh.gala@cameraitacina.com to express your interest. The CICC will send you the Application Form with more details regarding the Call to allow you to prepare a complete proposal. 2. Send your proposal: Fill in the form, scan it and send it to sh.gala@cameraitacina.com together with the full proposal and quotation before the deadline. Deadline: Friday 13 April. 3. Get the results: After examination of the required documentation, the CICC will inform you about the results via email. Deadline: Thursday 19th April.